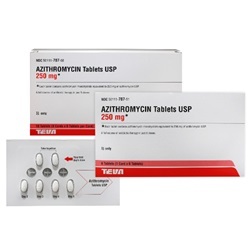 Azithromycin 250mg tablets that come 6 tablets per blister pack. Tablets are solid white ovals engraved with 787 PLIVA. Manufactured by Teva. NDC Number: 50111-0787-10. 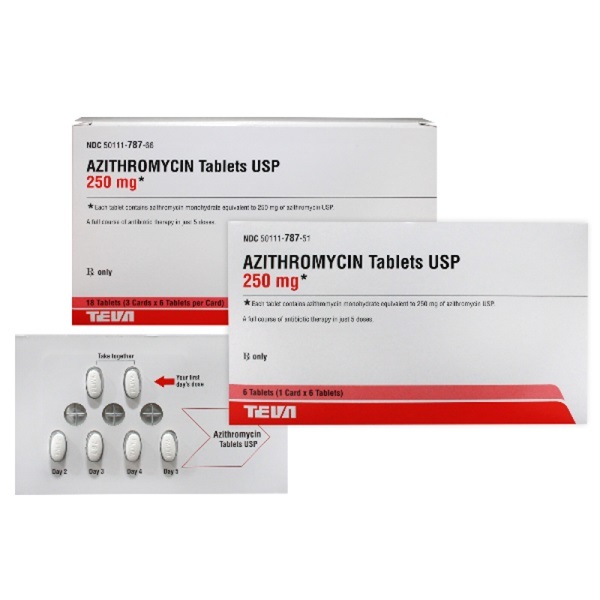 Comes 3 packs per box.